For two days in Grand Junction, the Ogden Raptors took leads in attempting to clinch a playoff spot, but each time they have disappeared in a barrage of Rockies home runs. Wednesday night in Ogden, the Raptors finally kept Grand Junction from staving off elimination, scoring six runs in the second and five between the sixth and seventh for an 11-7 win. 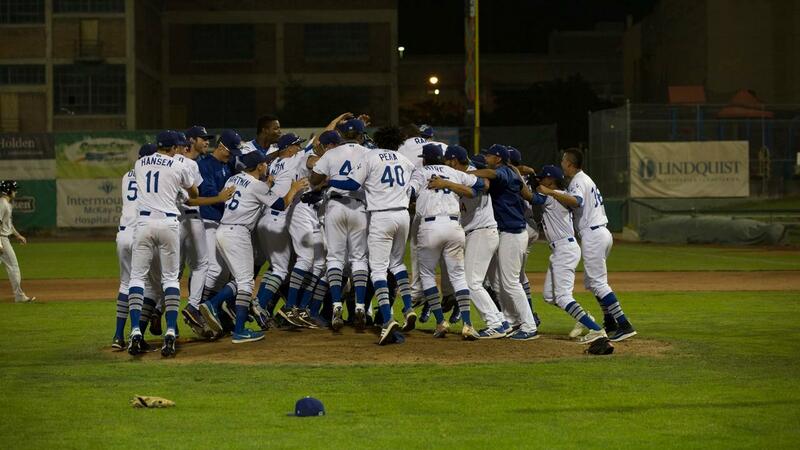 The victory ensures Grand Junction cannot win the second half title, and even if Orem outdistances Ogden for the crown, the Raptors have the wild card with the second-best overall record. For the second-straight day, Ogden's offense knocked out the Rockies starting pitcher before the third inning. After two hits in a scoreless first, Carlos Rincon opened the second with a line drive to right-center and hustled into second for a double. Brayan Morales laid down a bunt single to put runners on the corners, and Gersel Pitre lofted a bloop single down the right field line to put the Raptors on the board. Ramon Rodriguez hit a drive to right for a sacrifice fly, scoring Morales, and Pitre stole second base. Number nine hitter Connor Heady lined into left-center field and Pitre came across. Grand Junction catcher Javier Guevara fired to second to try to catch Heady advancing on the throw, but the ball sailed into center field, splitting the outfielders. Heady came home on the error to make it 4-0. Donovan Casey was next, and he was hit by the first pitch. Two batters later, Luis Paz doubled down the left field line to put both in scoring position. Romer Cuadrado took advantage with a single to left to plate both runners. The lead was short-lived, as Grand Junction broke out with three runs in both the third and fourth against Raptors starter Edwin Uceta, who had retired the first six batters easily with four strikeouts. The tie lasted until the sixth inning. Morales took a walk leading off and stole second then went to third on a throwing error. With two out, Heady doubled to right-center for an RBI. Casey stepped up and also doubled, giving Ogden an 8-6 lead. Paz opened the seventh with his second double, a shot that whistled over the head of Grand Junction's center fielder. With two out, he scored on a Morales single. Morales stole another bag, giving him the league lead with 24, and he sped home on a Pitre single. After a pitching change, Rodriguez hit a hot shot that ate up the Rockies shortstop to bring Pitre to the plate. Ogden took the 11-6 lead to the ninth, after Austin Hamilton and Justin Hoyt pitched scoreless relief from the sixth through the eighth. Miguel Ureña came on for the ninth and ran into trouble, allowing Grand Junction to load the bases and score a run with two out. The dangerous Chad Spanberger came up as the potential tying run but grounded to first, and Paz took the ball to the bag himself to finish the game and wrap up the playoff spot. After one more against the Rockies and two at Lindquist Field against Idaho Falls to finish the regular season, Ogden opens the playoffs by hosting the Orem Owlz Sunday at 4:00 pm. Orem will host Monday and, if necessary, Tuesday nights to decide who advances to the Pioneer League championship series.